Far-right French politician Marion Marechal-Le Pen railed against Muslim immigration during a speech Thursday at a major gathering of conservatives near Washington, D.C. 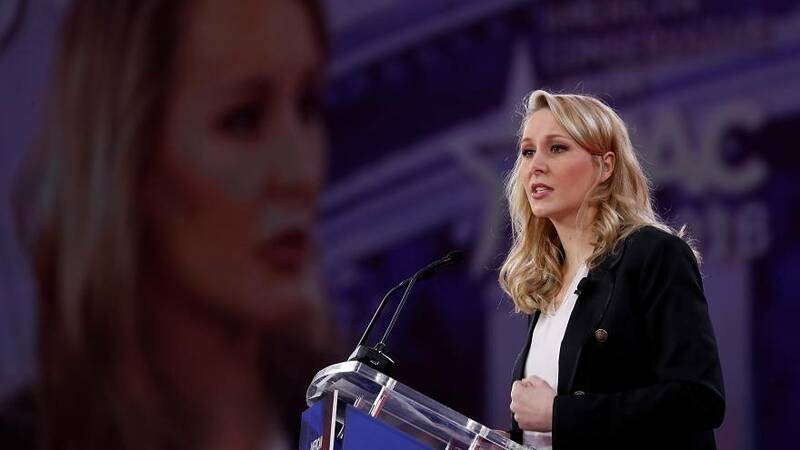 The 28-year-old niece of National Front leader Marine Le Pen spoke at the CPAC event in National Harbor, Maryland, after Vice President Mike Pence. President Donald Trump's former strategist Steve Bannon once praised her as a "rising star" and she is considered to be more hardline than her aunt on immigration and Islam. In her remarks Thursday, Marechal-Le Pen said she is not offended by President Donald Trump's "America First" agenda and she railed against Muslim immigration and "the development of an Islamic counter-society in France." "After 40 years of massive immigration, Islamic lobbies and political correctness, France is in the process of passing from the eldest daughter of the Catholic Church to the little niece of Islam, and the terrorism is only the tip of the iceberg," Marechal-Le Pen said. She also decried some modern family structures. Her remarks were met with cheers from the CPAC audience. Marechal-Le Pen’s grandfather, Jean-Marie Le Pen, founded the far-right National Front party in 1972. In 2015, he was expelled from the party for saying the Holocaust was a "detail of history." His daughter, Marine Le Pen, took the reins of Front National in 2011 and tried to steer the party away from its anti-Semitic past. She lost last year's presidential election to the center-right Emmanuel Macron. Following that loss, Marechal-Le Pen, who had been a member of Parliament, announced that she is stepping away from politics to focusing on developing a private higher education program in Lyon to rear future conservative leaders. This article was originally published on NBC News.